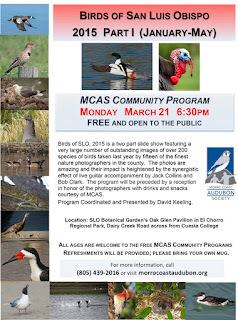 Dave Keeling will again coordinate this annual event, one of MCAS's most well attended annual programs! 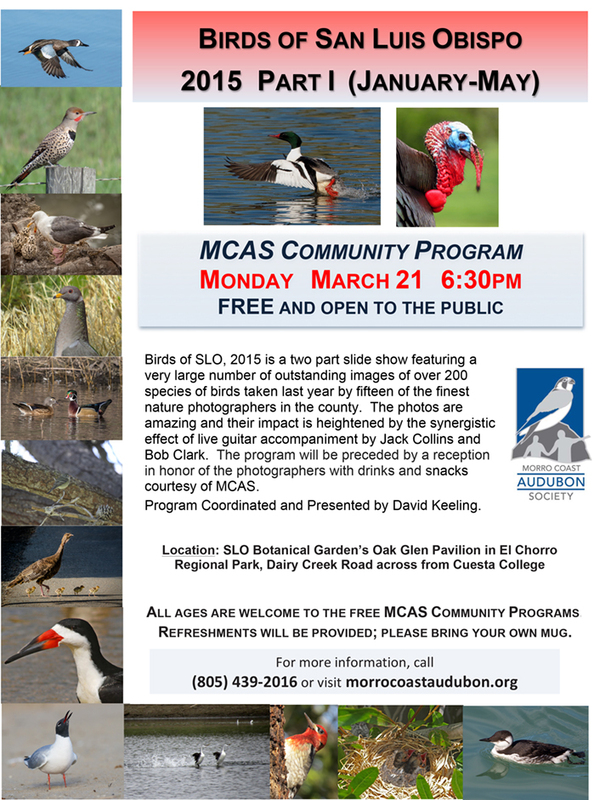 The presentation will consist of beautiful images of birds photographed in our county in 2015 by many of our finest local nature photographers. A reception to meet the photographers will precede the program at 6:30pm. Guitarists Jack Collins and Bob Clark will accompany the presentation. Refreshments will be provided, please bring your own mug.